The Chinese National Table Tennis Training Centre is situated in the city of Shijiazhuang, in Hebei province. The venue is a super training centre in the world and has been the main venue for the Chinese National Table Tennis Squad since 1992. Chinese International Table Tennis players such as Deng Yaping, Qiao Hong, Kong Linghui, Ma Lin, Wang Ligin, Zhang Yining, Niu Jianfeng, Bai Yang, Wang Nan, Hou Yingchao, Wang Hao and many more Chinese super stars have trained there before any Worlds or Olympics tournaments. The living quarters at the centre is equivalent to a three star hotel with standard double bedrooms. There are also single bedrooms available on request. The venue is equipped with body conditioning Gym made in Italy, for the players to use and also the herbalist doctor is on duty for giving massage if you need after hard work training. At the centre we provide many kinds of foods, including Arabic, Chinese and European foods, with fruits and beverages. There is also a chance to enjoy a practice session with many Chinese International players there and also play competitions against others coming from all over the world every Tuesday. You can also visit the Table Tennis museum at the centre and take photos with the actual cups and trophies such as The Corbillon Cup, Iran Cup, Swaythling Cup, St Bride Vase, The Geist Prize, W.J.Pope Trophy and the Heydusek Cup. The National Training Centre also provides training for players from all over the world regardless of their ability, age and gender. The Chinese National Table Tennis Training Centre is the centre for development and popularisation of the sport in the world. 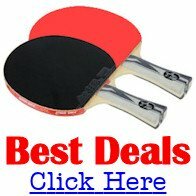 This is a good place which can improve your table tennis level quickly. There are professional coaches at the training center. 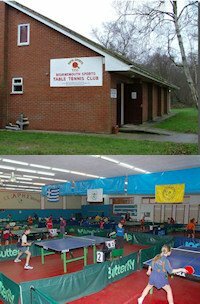 We offer table tennis summer training camp for professional and amateur players.